When it comes to raising funds for a business, do the people with the biggest networks have the greatest chance of success? Or does it have more to do with the quality of the relationships in their networks? Every weekend for the last month a group of young people carrying poster-board signs and water jugs cut open to make room for dollar bills took to the major intersection near my home. They all wore red T-shirts and called out “Donations!” as they walked past our cars while we waited for the light to turn green. On their posters was the face of a little girl, not more than 3 years old. She had been diagnosed with liver cancer the posters stated in bright blue and red marker. A couple of the times we saw them, my tween daughter (who is full of questions about the world) was in the car. The first time, she asked asked me what they were doing. “They’re crowdfunding,” I replied. She just nodded – because from living with me she is well aware of what that means. “It seems there’s a little girl who has cancer and they need money to get her medical treatment.” The light changed and we drove on home. We saw the same group of young people in the same intersection a few more times, but about the fourth or fifth time I saw them I rolled down my window and put a dollar in one young woman’s collection water bottle. I could feel my daughter’s eyes on me wondering why I took action this time but not all the times before. It was a good question. Why did I decide to give that time and not all the others? She seemed to nod in understanding. “And anyway it’s just a dollar, so if it’s not a real cause, I’m not out a lot. It’s worth the risk for the chance to help that little girl,” I concluded. My answer made me think about what I have learned over the last six years about why crowdfunding works. And about the kinds of actions my clients have taken that made people decide to contribute to their campaigns. The answer is TRUST. Trust is the foundation upon which crowdfunding exists. Trust is what makes the crowdfunding world go around. 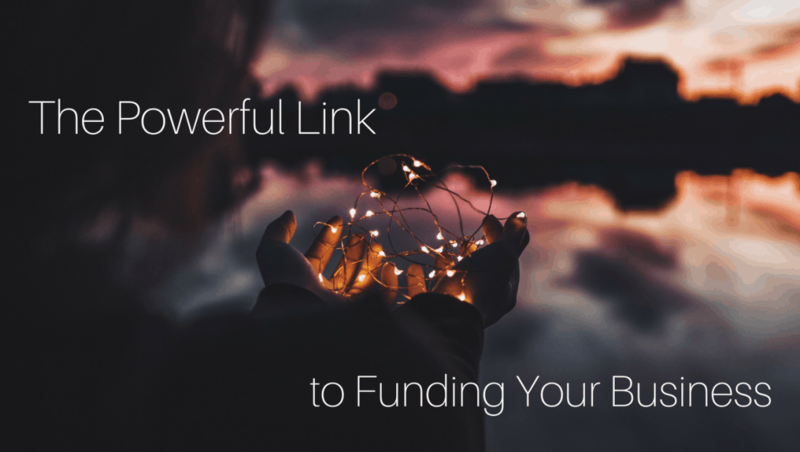 Show up – The greatest crowdfunding myth is “If you build it, they will fund.” You have to show up as a person every day during a crowdfunding campaign. One campaign creator we know funded his campaign by writing 15 personal emails every single day leading up to and throughout his campaign. Digital tools make it easy to post a lot on social media, but trust is built in human time, through sincere personal interactions. 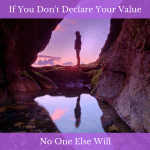 Be authentic – You don’t need to be anything more than you are. In fact, if the YOU people know disappears from the campaign, it can be nearly fatal. Take our client John McKinney of “The Chekhov Dreams” project. He didn’t succeed until he was willing to be honest about what his project meant to him instead of hiding behind a flashy video. His willingness to be vulnerable was what brought people to the table. Be consistent – One of the most important ways to build trust is to show up, and not just when you need something. We all know people like that. The ones who you only hear from when there’s something they need. That’s no different than showing up in a friend’s email for the first time in a year to ask them to contribute to your campaign. Keep your relationships alive through consistent communication. And this holds true for business email and social media communications. Consistency lets people know your brand is real and wants to provide them with something they need. Make a reasonable request – I’ll get heat here from people that say you should ask for the moon, but really, the best request – one that builds trust – is the one that is right for the recipient. The key in crowdfunding is to make it easy for someone to say “Yes.” Make sure you create rewards or investment levels that show your network you know who they are and what they like. Do only the people with huge networks successfully raise funding using tools like crowdfunding? Absolutely not. It helps to have a certain amount of social capital (friends and followers) to give you credibility and a running start, but having thousands of likes on Instagram from people who don’t feel connected to you is less likely to result in support for your campaign than the 150 people you can recall by name, especially if you make regular efforts to show up in their lives in an authentic way. Focusing primarily on your weaker social relationships is to miss the gold in your network. And you also need those with whom you have a relationship in order to prove your trustworthiness with people who don’t know you as well. Work on building your relationship capital through human interactions, conversations and activities. Show up, be consistent, and be authentic when you don’t need anything and then when you make your reasonable request, people will show up for you. I’ve seen it happen over and over – even on a busy street corner in Los Angeles. *Looking for guidance on how to build trust with your network prior to running your campaign? A great place to start is our Crowdfunding Rapid Assessment. 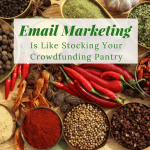 Crowdfunding is all about exciting and engaging your network and building a crowd. Many people in the social media, blogging, and crowdfunding world look at the vanity numbers of likes, followers, but the skilled crowd builders are looking for bloggers that demonstrate influence and engagement with their followings. How much engagement are you getting in the form of comments and shares? Are people truly willing to take the time and effort to comment on your content and then share that content with their networks? Those last two questions you ask are imperative to actual engagement and potential for conversion to crowdfunding contributions Bill! Followers and Likes don’t account for much if they’re bots or mildly interested in the content of your post. The champions and true influencers are the people that are rolling up their sleeves and collaborating to see change made in their world, if not on a broader scale with other like-minded people. Thank you for your passionate insight and comments!